I am Visiting Assistant Professor and Lecturing Fellow of Italian in Romance Studies and affiliated faculty with the Center for Jewish Studies at Duke University. 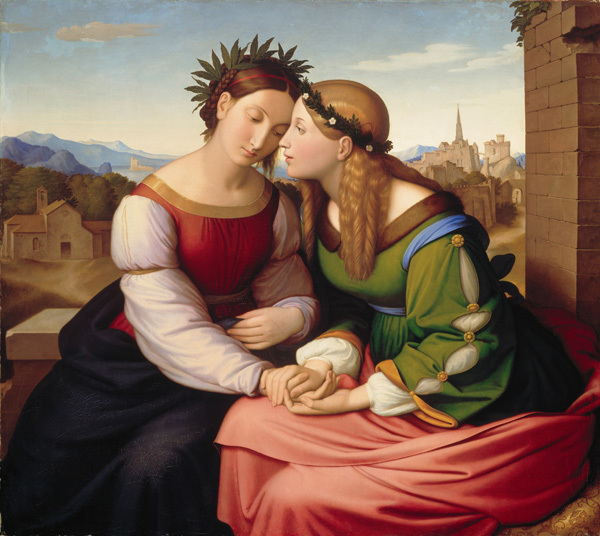 I primarily work on the cultural and literary connections between Italy and German-language countries, Jewish studies, the novel, animal studies, world literature, modernism, and issues of identity. My book Kafka’s Italian Progeny will be published by the University of Toronto Press. I am currently working on a monograph on Jewish Italian literature, an article on Svevo and modernism, and a chapter on Bernhard, Magris, Ferrante, and Calvino. This year I am teaching two graduate courses “Svevo and World Literature” and “Comparative Modernisms” and the undergraduate course, “Modern European Short Fiction.” I am also a Teaching for Equity Fellow. Please see “Courses” to see descriptions of courses taught at Duke, Venice International University, the University of California at Berkeley (where I was a Mellon Postdoctoral Fellow in the Humanities for two years), and Columbia University. My CV: Ziolkowski CV 2019 public. I hold a Ph.D. in Italian and Comparative Literature and Society from Columbia. My dissertation, “Trieste and the Migrations of Modernism: Fin-de-siècle Austria in the Italian Literary Landscape,” uses Trieste to focus an examination of the relationships between some key Austro-Hungarian authors (Kafka, Musil, Rilke, Roth) and Italian modernists (Svevo, Slataper, Quarantotti Gambini). I completed my dissertation research in Trieste, dwelling – without incident – in via Belpoggio, the infamous street of Svevo’s “L’assassinio di via Belpoggio.” Several parts of my dissertation have been published as articles and book chapters, including and one on Rainer Maria Rilke and Scipio Slataper in The Comparatist, one on Svevo and Musil in the edited volume Gender and Modernity in Central Europe, one on Joseph Roth and Quarantotti Gambini in Comparative Literature Studies. As an undergraduate at Princeton University, I majored in Romance Languages and Literatures and wrote a thesis on Primo Levi and Natalia Ginzburg. After graduating, I studied Austrian history and German at the Universität Wien as part of a Fulbright Fellowship in Vienna, leaving me nostalgic for the stehplätze at the Staatsoper and interested in the Austrian fin de siècle, whose widely studied modernism was instrumental for my work on Italian modernism. Whereas most studies of modern Italian literature delimit a canon based on chronological or geographical criteria, Kafka’s Italian Progeny uses Ludwig Wittgenstein’s idea of family resemblance to map a distinct but unexamined Kafkan tradition in Italy. From the use of animal imagery and oppressive spaces to representations of crises, alienation, and repressive bourgeois relations, the disparate themes of Kafka’s fiction are reflected throughout the peninsula’s literature. I provide one view on the book in my chapter in Kafka for the Twenty-First Century, which was reissued in paperback. My book chapters cover a variety of topics and are based upon diverse approaches, exploring thematic, generic, historical, and cultural connections between Kafka’s works and those of Italian authors. Several of my publications relate to Kafka’s Italian Progeny, including ones on Elsa Morante, Primo Levi, and Italo Svevo. While these chapters and articles discuss Italian authors individually and their productive commonalities with Kafka, each chapter of my book puts multiple Italian authors in conversation with one another. My book examines Italo Calvino, Cesare Pavese, Lalla Romano, Giorgio Manganelli, Antonio Tabucchi, Massimo Bontempelli, Elsa Morante, Dino Buzzati, Paola Capriolo, Italo Svevo, and Tommaso Landolfi. In 2014-2015, I co-directed a Duke University PAL/FHI Faculty Seminar, supported by a Mellon grant.